In celebration of Earth Day, I decided to dress head-to-toe thrifted. Well almost. It was raining so I couldn’t wear my animal print pumps – vintage fur does not do well in the rain! 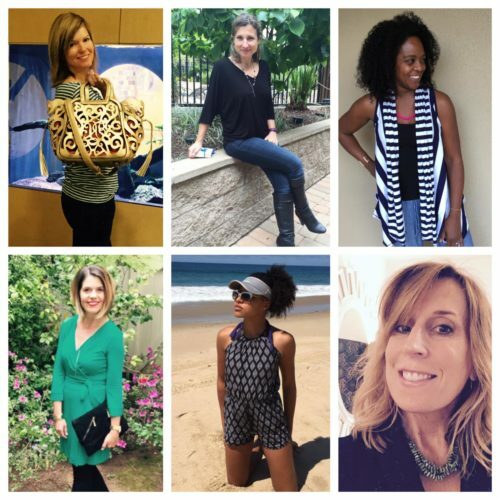 Speaking of ThredUp, this week, one of my favorite online consignment boutiques, shared a post on their blog. 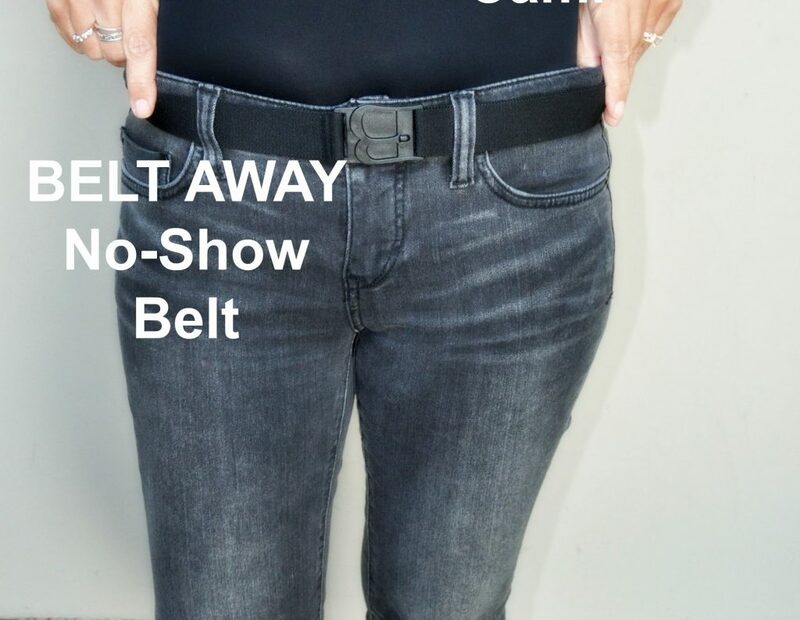 Written by eco-expert Rachel Sarnoff, of MommyGreenest.com. titled, “11 Earth Day Basics for Beginners”, the post talked about simple steps we can take, to living greener this year. You can click over to view the full post HERE, but here I am sharing #11, being this is a fashion/style blog and all. I personally LOVE shopping pre-loved fashion. Some of my favorite pieces have come to me via consignment stores, or online consignment sites. With the latest apps, the days of scouring Ebay for fab finds is over for me. 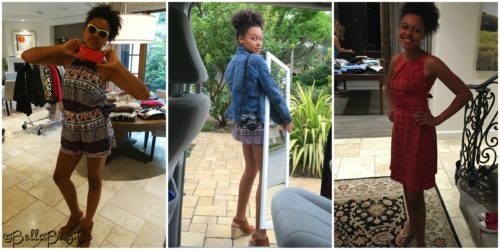 Apps like Poshmark and ThredUp, make buying and selling gently pre-loved items, uber simple and fun! For over a year, I have been dying to test out the idea of an organized clothing swap with girlfriends. A date on the calendar kept getting pushed out, as the idea of the whole thing, honestly overwhelmed me. That is until a little over a month ago, while having coffee with two of my girlfriends, the idea of the swap came up. 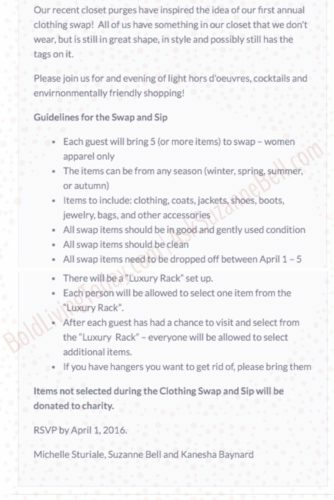 Having recently cleaned out our closets, they too had been toying with the idea of hosting a clothing swap. 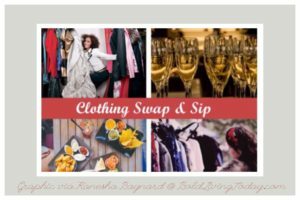 Together, the three of us set a date, divided up duties and began the planning, of our first annual Sip & Swap! Pulling it all together turned out easier than we thought. And though it did require some time and organization on our parts, it was very little stress in the end, and loads of fun, girl bonding – a huge success! Many of you shared with me post-swap, that you would love to host a swap of your own, so for today, I’ve rounded up a few tips, and photos to help you get started! 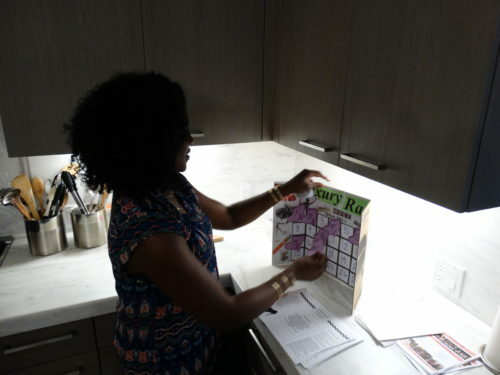 Our uber organized friend, life coach, and blogger, Kanesha Baynard of BoldLivingToday.com, put the following guidelines together, which we’re part of the Evite. 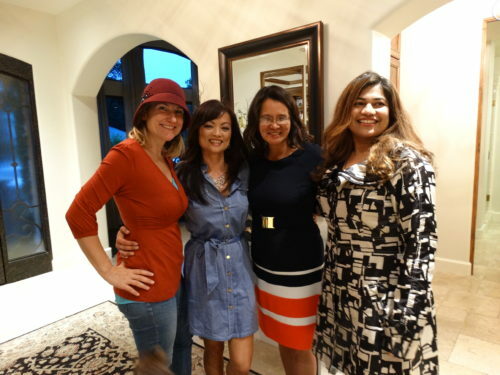 A week prior to the event, ladies could drop items off at Michelle’s home, our gracious hostess. great stuff, we had a blast! We organized items by category, selecting a few “luxury items” which were offered up via a number system, the first 2 hours of the event. On arrival you were given a number. Once you picked a piece off of the ‘”Luxury Rack”, your number went on the board. This insured that everyone left with at least one fabulous piece. After two hours passed, the luxury items were up for grabs! 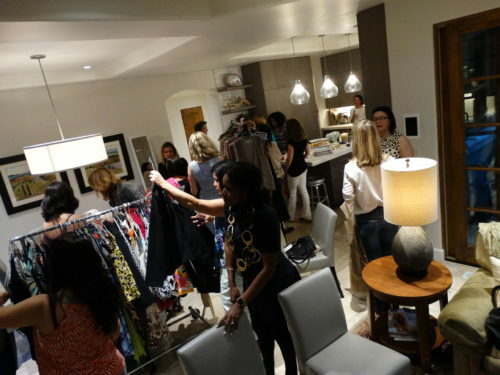 The event began at 6:30pm and ladies were pulling up, ready to swap at 6:25pm! From start to finish, it was the most amazingly fun, energizing, positive evening for all. You know how fun it is to shop with a girlfriend – one who gives you honest advice and knows your style so well? 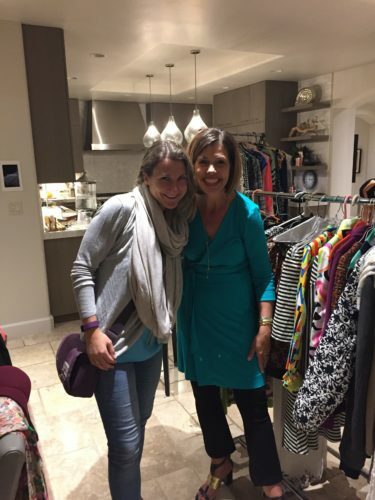 Imagine 25 women, sipping wine, offering up their opinions and positive feedback – as you try on fabulous items that you’ll get to take home for FREE! plus a table for sweaters/tees, and a second for pants/shorts. while Karen and Maud scope out a ravaged Luxury Rack. Maud found herself a new infinity scarf. And that where we found Eileen! Everyone left with at least one bag of “new to me” finds – to refresh their wardrobes! 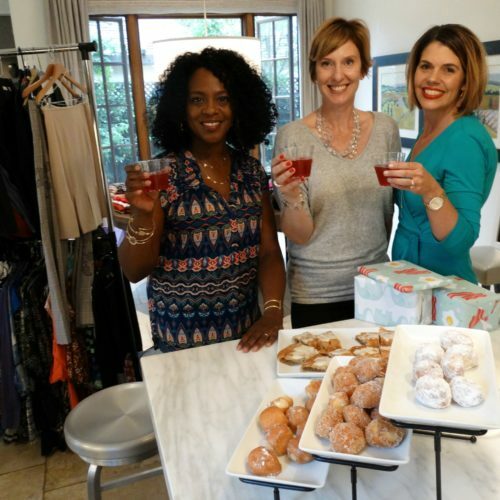 Four gorgeous women, showing off their fab finds! Have a find to share? 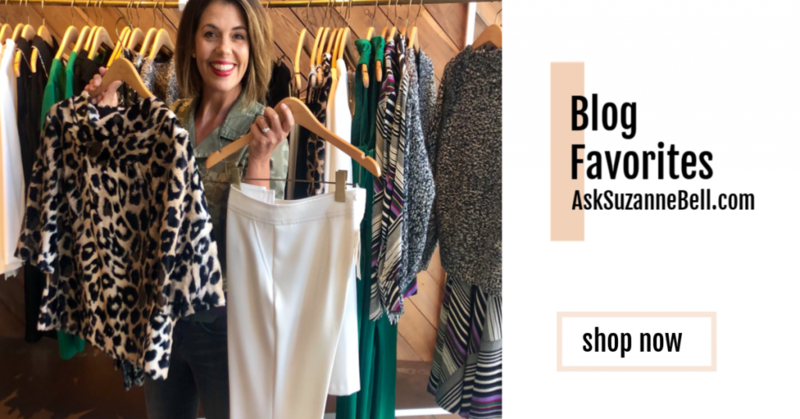 Tag your photo wearing your Swap Finds on Instagram, by using the hashtag #boldsipandswap and #asksuzannebellapproved, join in on the fun! And, a HUGE Thank You to our AMAZING photographer, Bella Baynard who not only captured the fun of this evening, and helped out in countless ways over the course of the evening, but also took home a few fun pieces of her own! 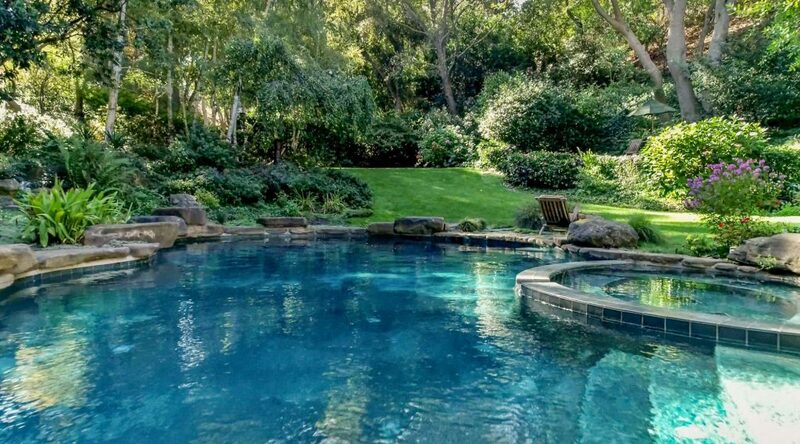 Do you have plans to go a bit greener this year? 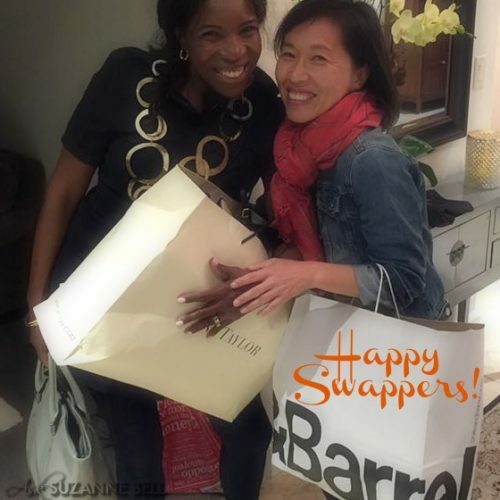 Have you tried or will you be trying to host a clothing swap? 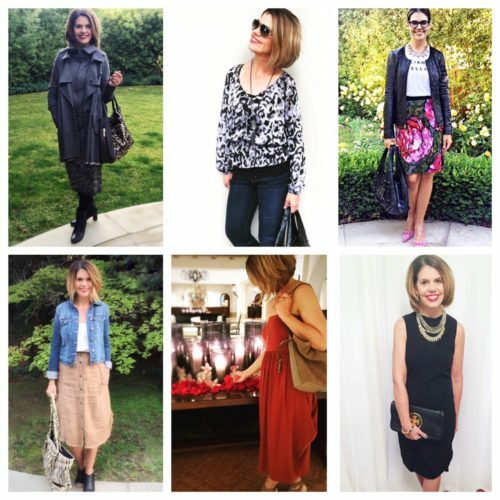 Have you tried shopping the new online consignment boutiques like ThredUp or Poshmark? New to onilne consignment shopping? If we each do a little, it adds up to a whole lot! Let’s protect and love this beautiful place, that we are so blessed to live in! Love the post. 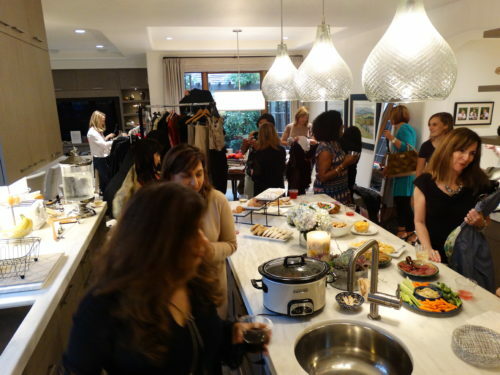 So fun to SEE PICS of the fabuLous pArtY. Great idea! THat’s such a great idea! it’s always good to clean out your closet and find new homes for gently loved items! fabulous idea and execution! Some really happy ladies without spending, what’s not to like? I get so giddy thinking about that night. Plus I have on another top from the swap! it’s the party that keeps on giving. Yay! I have always wanted to host a clothes swap with friends but we are all different sizes. Lots like a lot of fun! Hi Nora! It was really fun, in so many ways. I encourage women to try it, keep it simple and organized – it’s the party that keeps on giving!